Hello bookish people! 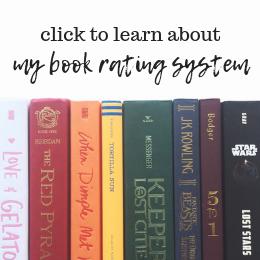 Pride month just wrapped up, so I thought it would be cool to share reviews for some of the books I read this June that have main characters who identify on the lgbtq+ spectrum. I read books with lgbtq+ characters year round, but I tried to put special emphasis on these books during the month of June! So without further ado, I present to you mini reviews of young adult three books about lgbtq+ characters: Leah on the Offbeat, Tash Hearts Tolstoy, and Let’s Talk About Love. Click on a book cover to view the book’s Goodreads page. So this book was a funny little mush of adorableness. There were so many iconic moments (be sure to read Elise @ The Bookish Actress’s full list) and I was so happy to be back with the Creekwood kids. Tbh some of my favorite parts were the ones with Simon and Blue and akjfsadd I love them so much. And I love the romance between Leah and her love interest too! There were so many great relationships—I also loved reading about Leah and her mom, who are super close and I love seeing these sorts of family relationships! Not to mention, I forgot how funny Becky Albertalli’s writing is. I laughed out loud at the “American Grill” scene and I’m sure I was grinning like an idiot the entire time I was reading this on the train. I also loved that Leah is an artist! And how she’s fat and she totally loves herself for who she is! Another thing that Leah on the Offbeat touched on was class and financial privilege, and I really appreciated that. Most ya families seem to be pretty well-off and that isn’t realistic, so I loved that this was explored in the book. Racism and microaggressions were touched on as well and Leah standing up to racist bs is the best!! Really there was just one scene that bothered me in this book. Marianne @ Boricuan Bookworms has a more in-depth explanation in this review, but basically what happens is that a character comes out to Leah and instead of supporting this character, Leah tells her that her label isn’t valid. I get that Leah is abrasive and that’s part of her character, but what she said was so wrong and hurtful and she never apologized or seemed to feel any regret about it, which sucked. Photo Credits: here, here, and here. All in all, aside from that one scene, Leah on the Offbeat was absolutely adorable and I loved it. I loved Tash Hearts Tolstoy as well. It’s centered around a girl named Tash (short for Natasha) who is obsessed with Leo Tolstoy and films a web series with her friends that based on Tolstoy’s book Anna Karenina. The web series, entitled Unhappy Families, suddenly shoots to internet stardom and Tash is left to deal with unexpected fame on top of conflicts within her family and tight-knit trio of friends, stressing about college, and figuring out her sexuality. The main friendship in Tash Hearts Tolstoy was one of my favorite parts of the book. Tash, Jack, and Paul have the sort of best friendship that everyone wants in their life, and I just loved how much they loved each other! The book also explores family and specifically sister relationships, which I’m always a fan of. I really liked that Tash’s family was part Buddhist—this is just touched on briefly, but it was really cool to see how Tash sort of practiced Buddhism and what that was like for her. I’m pretty sure I’ve never read a book about a Buddhist teenager (or person in general) before. Tash is romantic asexual (meaning she experiences romanic attraction but not sexual attraction) and from what I’ve read, the asexual rep is really well done. In fact, the main reason why Tash Hearts Tolstoy has been on my radar is because Jill @ Book Nerd Reads loves it so much—you can read her review here. Photo Credits: here, here, here, and here. Tash Hearts Tolstoy is a really cute book focused on friendship and I absolutely adored it. My only complaint is that I wish I had gotten to see more scenes with the actual web series, because I was incredibly interested in that aspect of Tash’s life. This book made me want to film a web series (despite knowing literally nothing about filming lol). Let’s Talk About Love is about a tv-obsessed college student named Alice who lives with her two best friends and works at a nearby library. The story follows Alice right after she’s dumped by her girlfriend because of her asexuality and mostly focuses on her blossoming friendship (or something more?) with her new coworker, Takumi. There were so many things I liked about this book. There’s a friendship trio with complex characters and relationships, a cute romance that starts out as a friendship, and plenty of family drama. I loved how much Alice loved eating—food is a recurring theme in the book, and Alice never feels bad about herself for how much she likes eating, which I think is a really great message. A lot of teenagers struggle with body image and being shown that it’s totally cool to like eating is really great and important. Ultimately, the reason why this book didn’t feel quite like four stars to me is because it didn’t feel as much like a ya book—it seemed more new adult. The main characters are in college and live on their own, and two of Alice’s friends are actually getting married. I just wasn’t as into it. Not to mention, there was not a whole lot of plot, so be weary of this if you don’t like slower, romance-focused books. I still enjoyed this book overall though! I hope my lgbtq+ friends and followers had a amazing pride month! You are all wonderful and valid! Have you read any of these books? Are you planning on picking any of them up? What are some of the best ya books about lgbtq+ characters that you’ve read recently? Let me know in the comments! Wonderful post! 💗 I really enjoyed Leah on the Offbeat too, but yeah, I really disliked the scene where Leah attacked Abby for labeling herself a certain way. That wasn’t cool. Ahh thank you so much Dezzy!! I felt completely the same way about Leah on the Offbeat. I LOVED Simon Vs, but I’m super scared to read Leah since I’ve been hearing mixed things about it D: I REALLY want to read it, though. Probably before the year ends!!! D: I can’t wait to be back with the Creekwood gang. I was a little nervous too as I also read some mixed reviews of Leah on the Offbeat. And yeah, I feel like half of readers are totally cool with plotless books and the other half get really annoyed by them ¯_(ツ)_/¯ Let’s Talk About Love was a really adorable book. This is such a great post! 🙂 I just realized I read only one LGBTQ+ book during June (it was More Happy Than Not), which is sad…but I did just read Simon Vs. for the first time a couple days ago, and it was so good! This post got me really wanting to read Leah on the Offbeat, especially for more cute moments between Simon and Blue.